Personally...if he was here and I was unable to have the poop checked...I would start him on baytril. Yes, I do have some amount of baytril left out with me, I will use that. What could be the dossage? Also, since he has got some amount of energy today, he keeps moving / rotating himself inside the box and gets his neck twisted again and again I keep positioning him properly everytime but he repeats the same.. any idea how to stop him from doing? 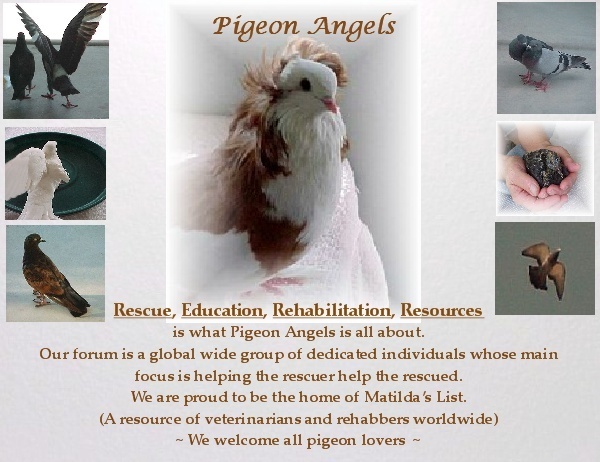 I would give a 495 gm pigeon 15 mg, 1 time a day. I'm thinking this bird is smaller and without know the weight, I would give 7-10mg, 1 time a day. If the problem is bacterial, such as salmonella or clostridium, hopefully you will see some improvement starting in about 48 hours. Do keep him in a padded box or cage/kennel so he won't hurt himself and be sure and remove any water. I know this is frustrating not knowing exactly what the problem is. I'm frustrated there isn't any qualified professional close by that can help you. Yeah, the bird is smaller. I will start with baytril and see how it goes. He seems to be not liking it if he is kept in the box that is closed on top, if I leave the top cover open, he seems to be happy. Tomorrow morning I will transfer him to the cage. Sure, I wont keep the water bowl inside, I understand how critical that can be. I too wish there is some good vet here But thank you all for helping us always. Just a thought...is there any way you can put a screen on top of the box? That might make him feel more comfortable if the sunlight can come in. If so, I would secure it with a brick on each end of something equally as heavy. When birds are this ill, personally...I think the emontional health is important to think about too as emotional helath and physical health go and in hand. So...if the bird can see out, he will feel better and get well sooner. 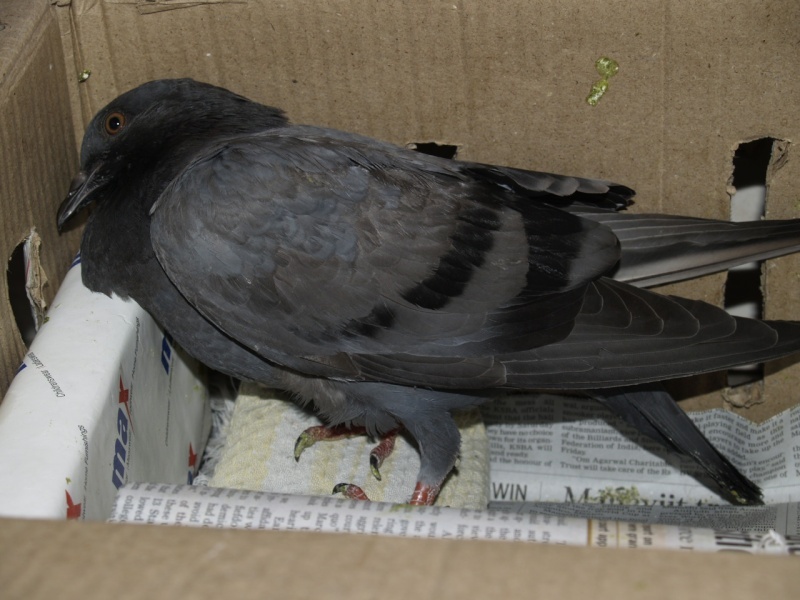 Priya - I am very sorry to hear about your injured bird. It sounds to me rather like a physiological problem from the fall than a PMV case. Unfortunately it sounds to me like the case we had with our Wally when he fell from a chair on to the concrete of the balcony at a very young age. I cannot say whether he would have recovered because the vet euthanized him saying if he damaged his brain from falling nothing could have been done. So I am not much of a help here. If you do not have a vet whom you could trust maybe the bird has only a trauma that heals itself when you keep him in a quiet place. I am going to do that, I will definitely not let the top cover open when I am not around him. Since I am back from work now, I have secured all the room windows and kept this box open on top. He really seems to be liking it a lot, he is now sitting properly on his legs and keeping this head straight. 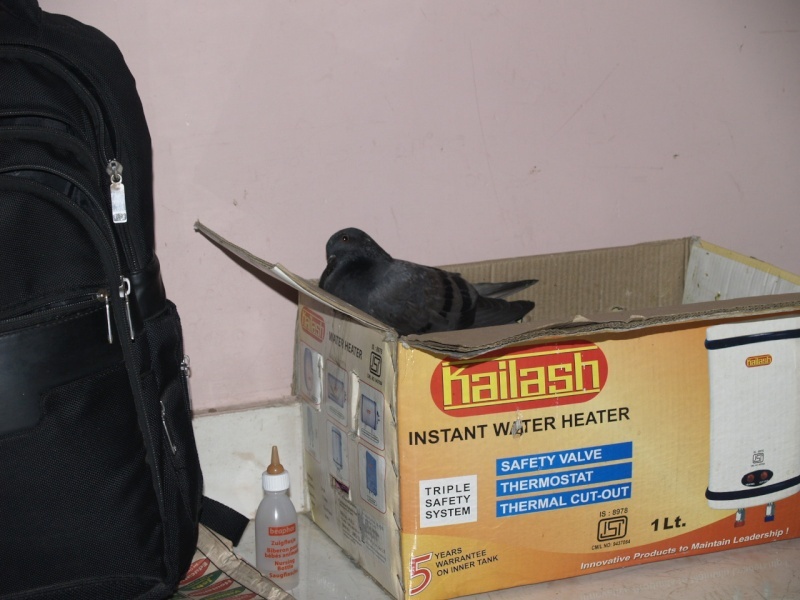 Thank you so much for your words and very sorry to hear about Wally We do not have skilled vets in India who can treat birds, so I am not able to take this bird to vet. However, I am doing everything that is possible to make this bird alright. I am hoping he recovers soon with all your wishes and love. I'm praying for a quick recovery, Dev. I know the bird is in great care with you. By the way...I'm serious about sending you some wooden eggs if you email or private message me your address again. I have extras that I am happy to pass on to you. Thanks for your prayers. Bird is continuing to be good today as well. Started with Baytril course today. I will keep you all updated. Thanks again for your offering A friend of mine told me that she had seen plastic / wooden toy eggs at a nearby city, as of now I am trying to get it from there, if this does not work, I will definitely reach out to you and have them shipped. In the mean time, I am boiling the present eggs and giving back to Mito & Sia by today. I wish there was more I could do to help you, Dev. I'll be waiting for your updates. You guys always do it I have a question, I have very little Baytril, so can I use Enrofloxacin (Metrogyl) instead of Baytril? I have both Baytril Enrofloxacin, please let me know that do you feel? That's fine to use, Dev. it's a generic version of baytril. Just gave him Metrogyl now. I will keep him monitored and keep you guys updated. Thank you. We'll be anxious to hear. I'm glad to hear the little one is doing good. 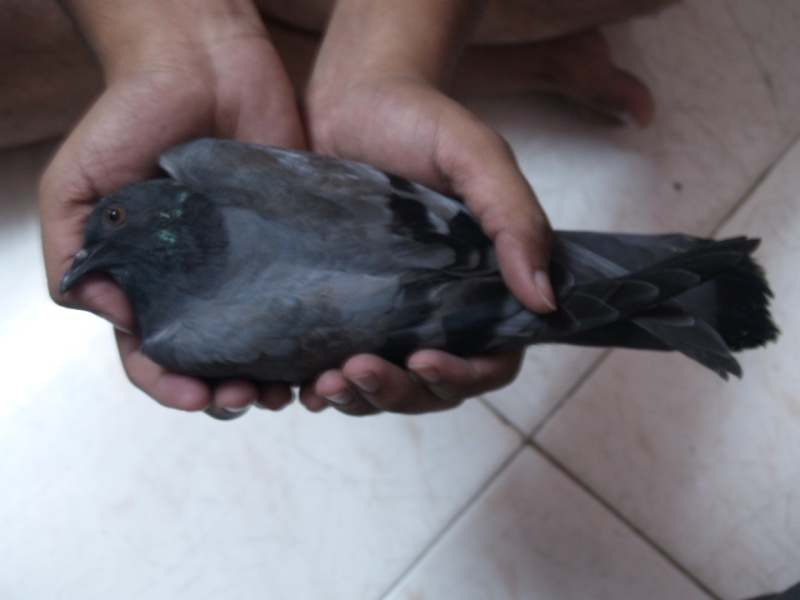 Haven't heard form you, Dev and I'm wondering how tha pigeon is doing? Are you noticing any signs of improvement? Sorry, was not able to login yesterday. The bird is continuing to be the same, very less improvements. He tries to stand on legs and tries to keep his straight, but not for a long time Frequently he gets convulsions during which his head starts twisting more When I observe that, I take him and comfort him after which he calms down a bit. 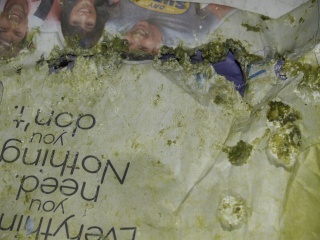 Poops are much better, solid, light green with white patches. I am continuing to feed to Metrogyl. That's for letting us know. Maybe tomorrow he will be better. I hope so. Have you been able to get any pictures, Dev? 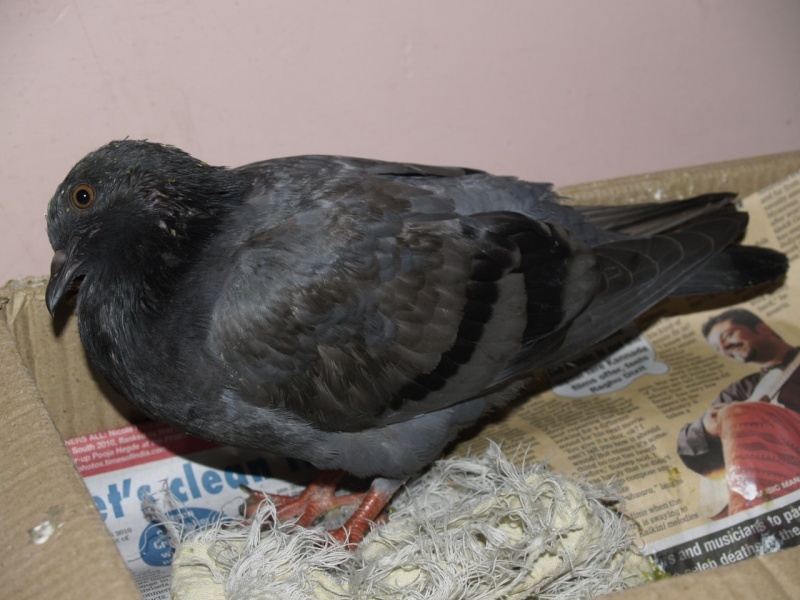 I have not taken any recent pics, but the old pics are here http://www.pigeonangels.com/pigeon-rescue-suspect-injury-f6/rescued-another-pigeon-perhaps-with-pmv-t1933-15.htm I will get the new pics today and post it. Bird is continuing to be good. He is able stand better now.